Two years ago the husband-wife-power-singer-plus-power-guitarist duo Susan Tedeschi and Derek Trucks released Revelator (Amazon MP3 & Spotify), their first album together after years of marriage and separate successful musical careers. 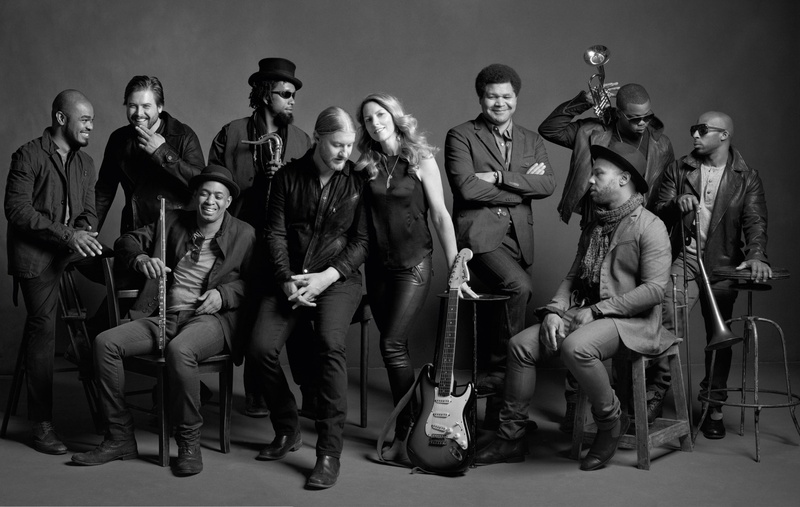 Under the banner of Tedeschi Trucks Band and with an incredible backing band on the album and on the road, Revelator won widespread critical acclaim. A few weeks back, the band released its follow up, Made Up Mind (Amazon MP3, Spotify & NPR Interview), which I like even better than the last. One track, “It’s So Heavy” has stood out to me lyrically and musically. The band talks about it in the video below, calling it their tribute to Levon Helm. Here’s the full track. See the band perform it live at the Beacon next week. This is my new favorite song (MNFS).